A long tramp today, I think 12-13 miles, starting from Ovillers and getting as far as Montauban. So first up is Ovillers Cemetery and Mash and Sausage Valley. Above: Top image - Ovillers Cemetery. Second image shows the wide expanse of Mash Valley that the British had to cross on July 1st 1916. Ovillers Cemetery can be seen in the background. Third image shows the memorial cross at Lochnagar Crater looking across to Tara and Usna Hills. Bottom image is taken in Sausage Valley with the Lochnagar on the skyline. Next up was Fricourt where we visited Fricourt New Cemetery, Fricourt German Cemetery and part of Fricourt Wood. In Fricourt Wood many shell holes can be seen. We also came across three earthworks which looked like 'cut and cover' dugouts although within woodland you always have to be careful - they could equally be sawpits! We also came across a trench, not marked on British Trench maps but it is on German maps I've seen, but in reality it is just an extension of Sunshine Alley marked on British maps. Above: Top two images show Fricourt New Cemetery. Third image down is the German Cemetery at Fricourt, the only German Cemetery on the actual Somme battlefields. Forth image shows earthworks in Fricourt Wood - dugouts or sawpits? Next two images show shell holes and a section of surviving trench. 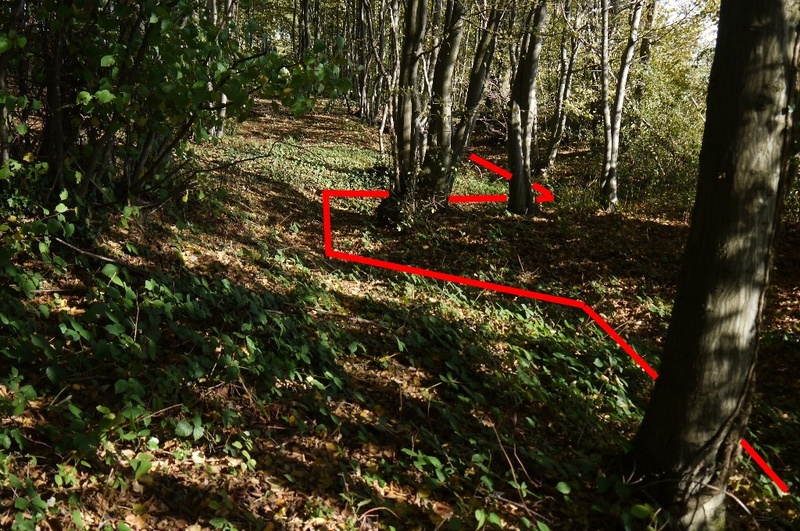 Bottom two images show Fricourt Wood, the last image taken from the slope that rises up to Dantzig Alley Cemetery. We actually then walked to Casino Point, Carnoy Craters and Montauban but did not take many pictures on this stretch of the walk. So the next images are from the location of Bottom Wood, Railway Copse and Shelter Wood. Top: Evidence of shelled ground still surviving near Railway Copse. 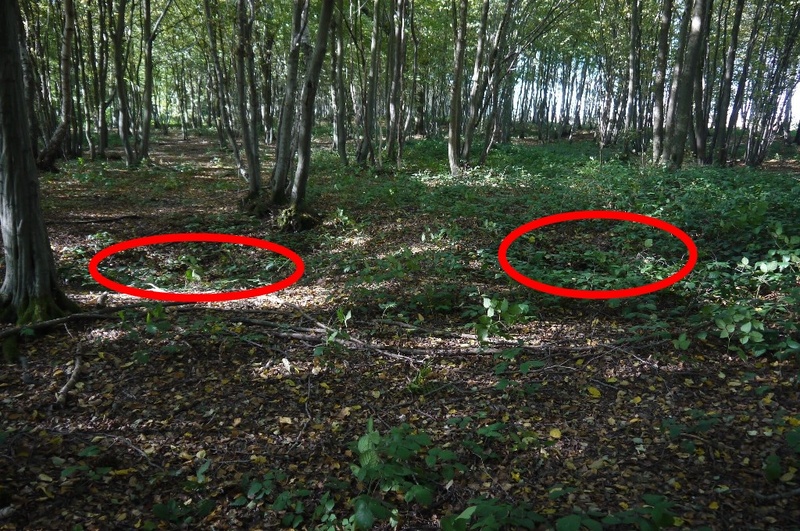 Bottom image shows Bottom Wood on the left hand side, image taken from Shelter Wood. We ended the day where we started, with the sun setting over Lochnagar. By the time we got back to the car at Ovillers, the sun had set. Above: Top - my brother walking back up to Lochnagar as the sun was setting. Second image shows the sunset at the memorial cross at Lochnagar Crater. Third image shows the Albert Basilica highlighted by the setting sun. Bottom image - the Cross of Sacrifice at Ovillers Cemetery, the sun had set by the time we got back here.